Looking beautiful is not looking fair, ideal look for naturally healthy skin is a clear radiant even skin tone. When the skin is clear of blemishes it projects a natural healthy radiance. What do you mean by pigmented lesions? 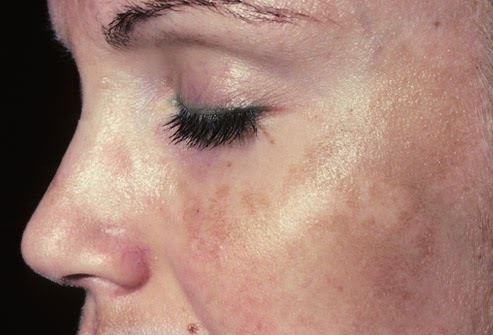 These are the lesions that are darker than the rest of the skin, result from excess melanin production and deposition. Melanin is what gives our skin its color. Melanin is produced by melanocytes. Melanocytes are pigment-producing cells. The number of melanocytes present in our skin will determine our skin colour. Why do we get these lesions? High concentrations of melanin can be due to various factors. Some types are present at birth, hormonal changes, trauma but most occur with age or as a result of overexposure to the sun’s damaging rays. What are these pigmented lesions? Skin lightening creams, chemical peels, Q-switched Nd YAG laser is the better treatment of choice and finally with all these treatments sun avoidance is the important factor. Nd:YAG (neodymium-doped yttrium aluminium garnet) is a crystal that is used as a laser medium for solid-state lasers. Lasers work by emitting a wavelength of high energy light, which when focused on a certain skin condition will create heat and destroy diseased cells. Light pulses target melanin at variable depth on or in the skin. Sessions vary from 2-6 sessions. 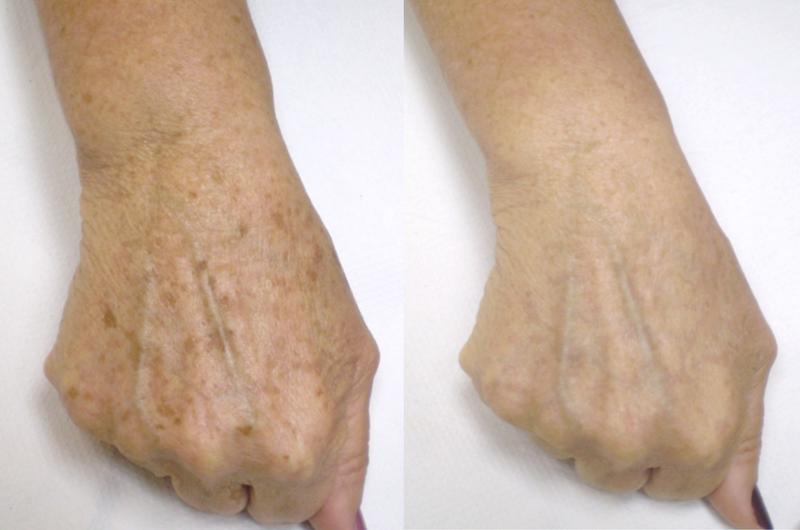 Freckles and age spots might not require many sessions but pigmented nevi require about 6-8 sessions. What is the time gap between each session? Will the lesions disappear completely? In most cases, the laser treatment leads to satisfactory fading or complete removal of the freckles and age spots. Most of the birthmarks will fade with treatment but some recur. These may require additional treatment to keep pigmentation at bay. Age spots often fade or disappear with a single treatment. 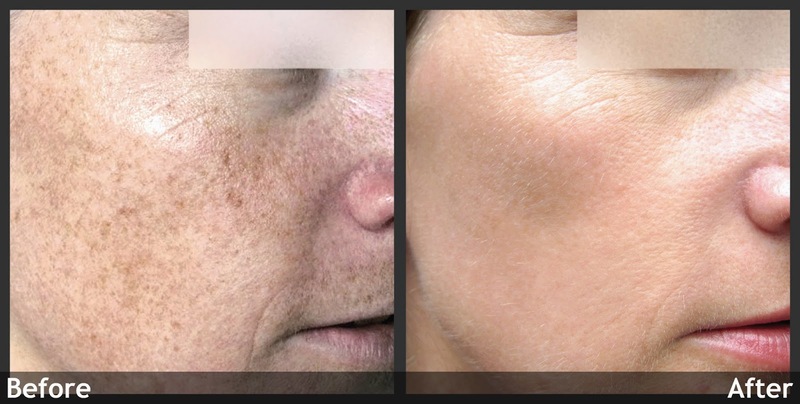 Thanks to the q switched Nd Yag laser, you (usually) don’t have to live with unwanted freckles, age spots, or pigmented lesions for the rest of your life. Side effects are very rare but if you are unlucky you can have infection, scaring, hypo or hyperpigmentation. Pigmentation skin disorders can affect the color of your skin. Darkers skin tones usually mark, scar and pigment more easily than lighter skin tones, leaving behind permanent pigmentation marks. 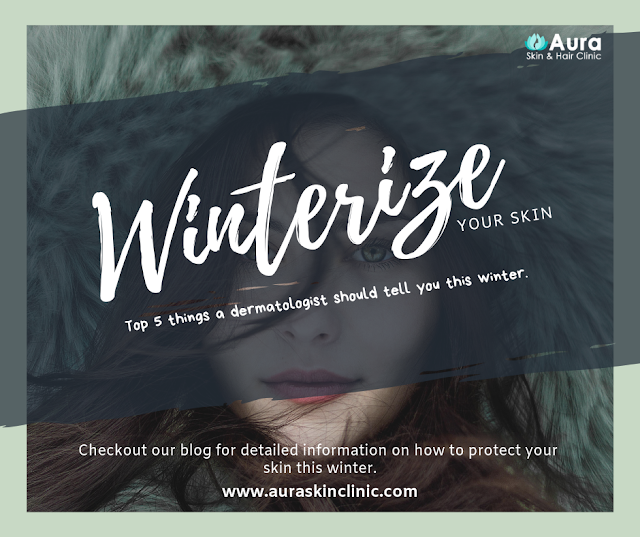 At Aura Skin Clinic, we offer safe solutions for all skin types, combining cutting edge high tech treatments with advanced skincare products that work to enhance the natural beauty of your skin and restore the skins brighter, lighter, even skin tone. 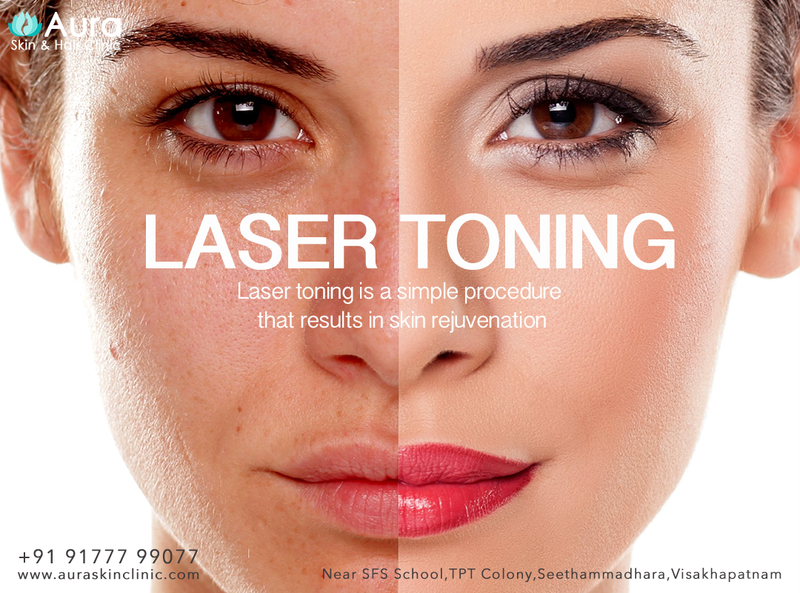 we have various treatment option for skin pigmentation, starting from chemical peels to Q switched Nd YAG laser.Consult our dermatologist for the best treatment suited for your skin type. You must be wondering what are those brown blotchy stuff on your face that's made worse by sunlight and makes you feel ugly. It is called melasma. And yes it’s a midlife crisis as we see this commonly after the age of 30 yrs. It occurs in all skin types but is especially common in south american and Asian women. A lot of people experience it during pregnancy(mask of pregnancy), but u will also observe this after using medicines like oral contraceptive pills, phenytoin.and certain cosmetics. 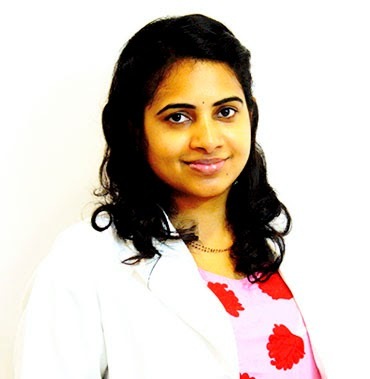 It is commonly seen on face:forehead, nose, upperlip, chin, malar and mandibular areas.while this is strictly a cosmetic problem, its is very disturbing to both sexes,especially with brown skin color and good tanning capicity.It is definitely one of the most difficult conditions to treat. For this reason, it is important for me to establish realistic expectations from the beginning so that my patient and I can work together to achieve the best results. It is important to understand that melasma is a chronic condition. There is no cure (i.e. there is no cream that is prescribed that can make it go away forever). For many patients, melasma is caused by hormones. 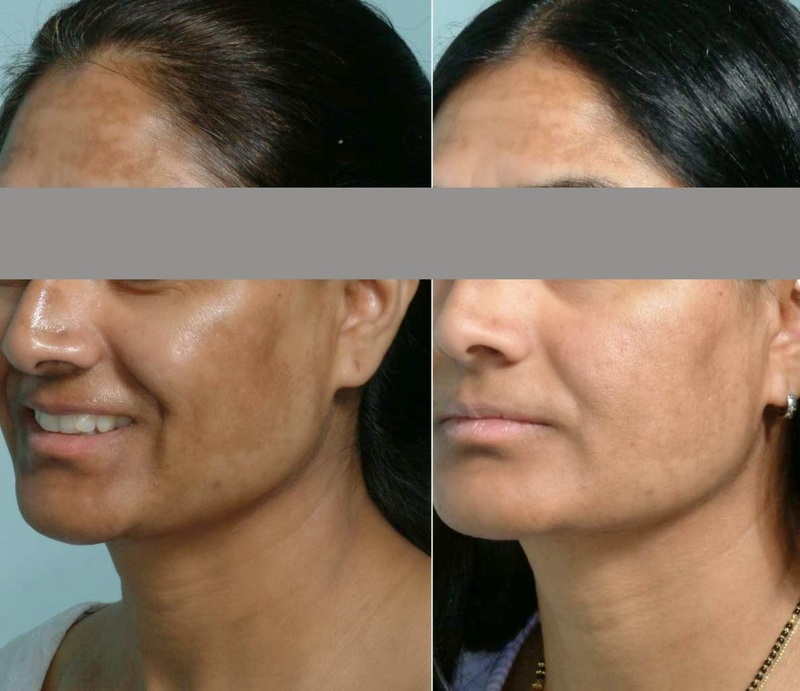 So for some people after pregnancy or after stopping birth control, the melasma resolves. For many, however, the condition continues. The good news is that there are good treatments available. The most important thing to treat melasma is strict sun protection.we have skin lightening creams, most popular one is hydroquinone and other options are chemical peels, fractional and Q- switched ND-YAG laser, mesotherapy. So its important for you to consult your dermatologist and understand what is the best option for you.